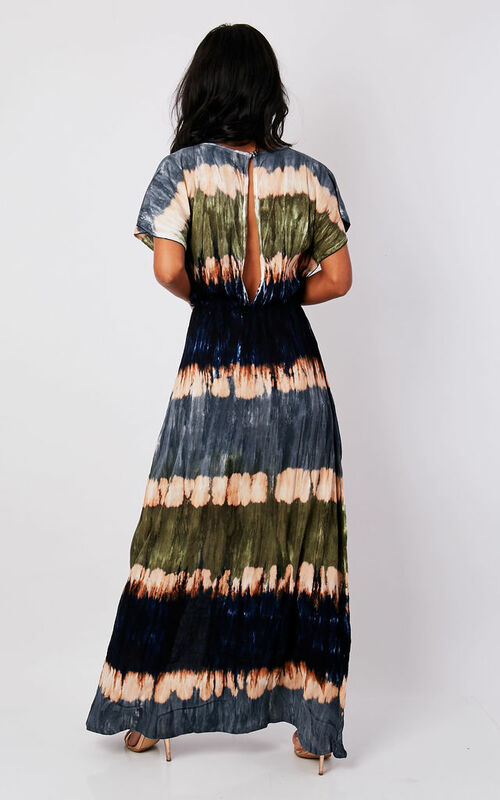 Beautiful hand dip dyed Bianca maxi dress in black, grey and khaki with a nipped in waist , pretty butterfly sleeves, open slit back and front split detailing. 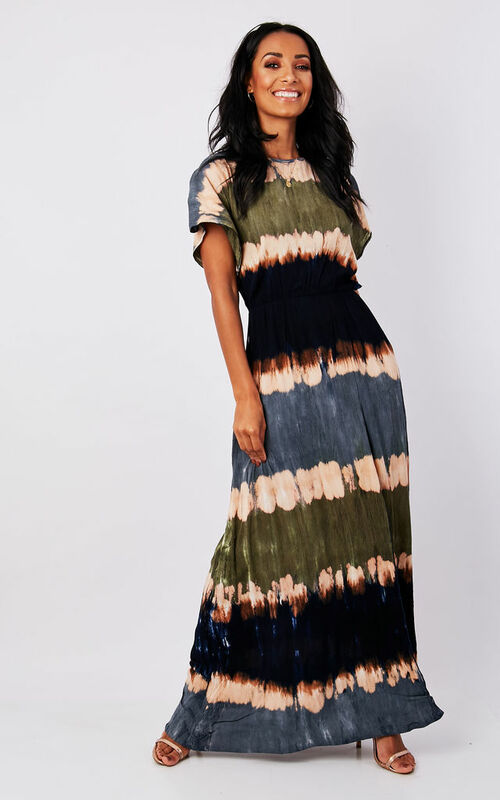 The perfect maxi Summer dress. Bianca is made from cheesecloth which adds texture and a vintage feel. Great to dress up or down .